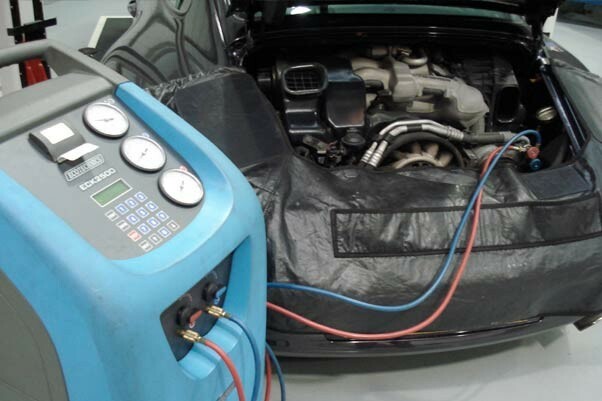 Air conditioning systems are an integral part of Modern day Porsche vehicles. Zentrum are able to offer, maintenance, servicing and re-charging of these systems. Our UV dye vacuum system allows our technicians to quickly find any leaks within your air conditioning system and resolve the issue. An additional service zentrum can provide is cabin cleaning to neutralise any bacteria and bad smells (such as pets, tabacco smoke and food) inside the air conditioning system and cabin. Zentrum can carry out servicing or repairs to your Porsche air conditioning at a time to suit, please get in touch via the methods below to book in your appointment.